Since ascertaining their place as one of Africa’s revered music label, the accolades have been pouring in. Yesterday wasn’t any different as the decorated title of best record label led the strings of win for the night. 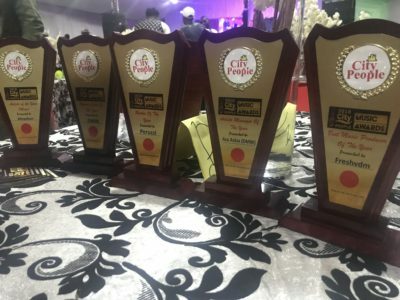 Davido’s manager, Asa Asika was awarded in the category for artiste manager of the year; Peruzzi bagged the award for rookie of the year; FreshVDM took home the best music producer award; Dremo emerged tops in the best rap album category for the CODENAME: DREMO (EP) project while Mayorkun won the most coveted title of the night being the artiste of the year.